The bad news? They sold out within a half hour. 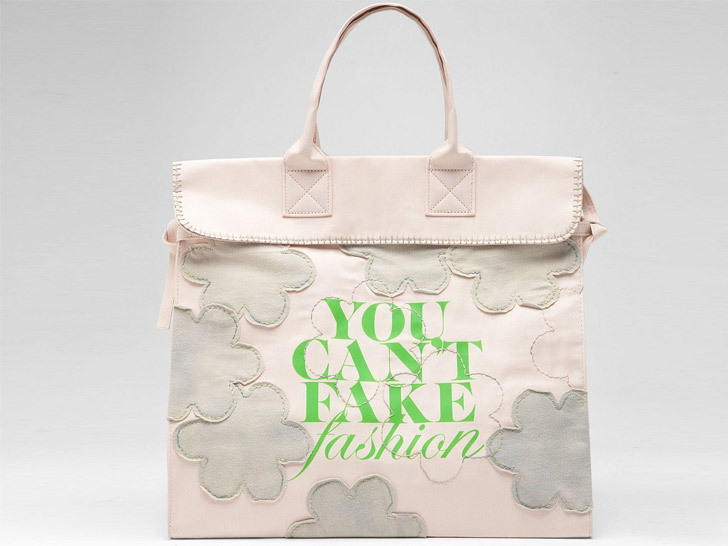 The good: We've created a slideshow of "You Can't Fake Fashion" totes—each customized by one of our favorite Council of Fashion Designers of America designers—for your gawking pleasure. Above, an appliquéd number by Alabama Chanin, who created the hand-dyed organic-cotton floral motifs in collaboration with textile designer Anna Marie Horner. 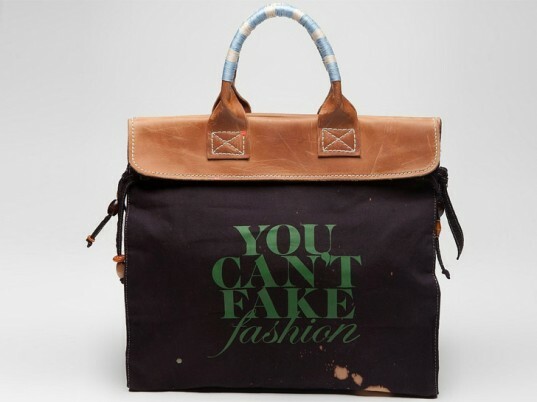 You Can’t Fake Fashion is a joint initiative by the CFDA and eBay to raise awareness about counterfeit goods by celebrating original design. 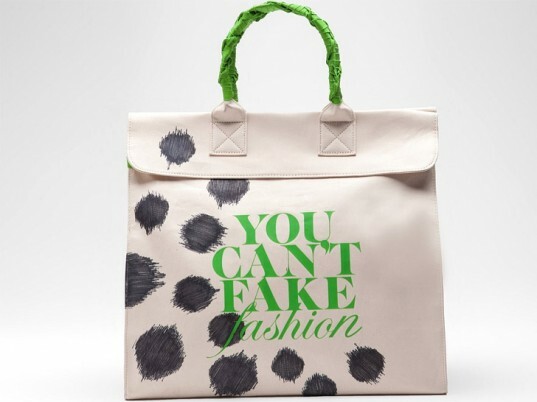 You Can’t Fake Fashion is an effort to raise awareness about counterfeit goods by celebrating original design. All proceeds from the bags benefit the CFDA Foundation, which provides financial support for young designers in the high-school, collegiate, post-graduate, and early stages of their career. TOMS’ founder Blake Mycoskie dyed his bag using nontoxic soy-based inks, then embellished it with vegetable-tanned leather accents, beading, and a threaded handle in his label’s signature colors. “The bag, which is close to my heart and my philosophy of low-impact living, also has an eclectic cultural aesthetic,” he says. To reference her use of 18-karat recycled gold, jeweler Monique Péan hand-painted her tote in gold-leaf paint, allowing the words “You Can’t Fake Fashion” to peek through in their original neon green. She also reworked an image of one of her fossilized walrus-ivory pieces into a silk-screened print, which she worked into the lining of the bag. 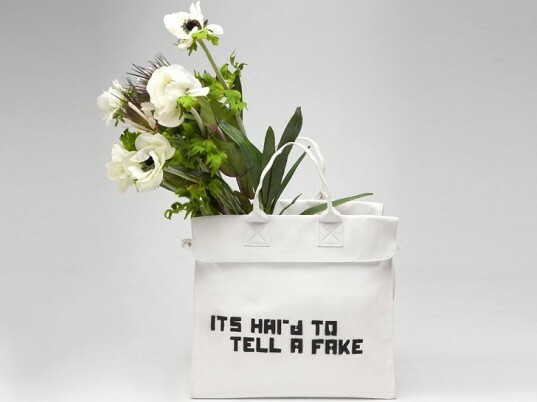 Rogan Gregory and Scott MacKinlay Hahn of Loomstate painted their tote white, then stenciled it with “It’s hard to tell as fake” on the front. Inside, they inserted removable silk protea, orchids, and poppies. To personalize her bag, Maria Cornejo used a marker to trace the pattern of a Spring/Summer 2012 jacquard on its exterior. She coordinated the design with jade-colored grosgrain ribbon, which she wrapped around the handle and attached to the sides. TOMS' founder Blake Mycoskie dyed his bag using nontoxic soy-based inks, then embellished it with vegetable-tanned leather accents, beading, and a threaded handle in his label's signature colors. "The bag, which is close to my heart and my philosophy of low-impact living, also has an eclectic cultural aesthetic," he says. 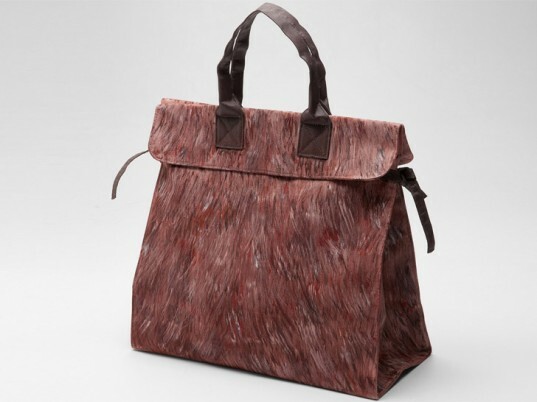 From the boys at Costello Tagliapietra, a carryall they personalized with a hand-painted print of animal fur from their Fall 2008 collection. Layers of tone and color, they say, give it the "gesture and movement of an animal's fur and the age and history of the bark of a weathered tree." In true Libertine form, the label's bag features shiny mirror-like sequins. "Just look at it. Just buy it. It's sparkly, it's Libertine, it's for a good cause," says designer Johnson Hartig. "What else does one need in a tote?" 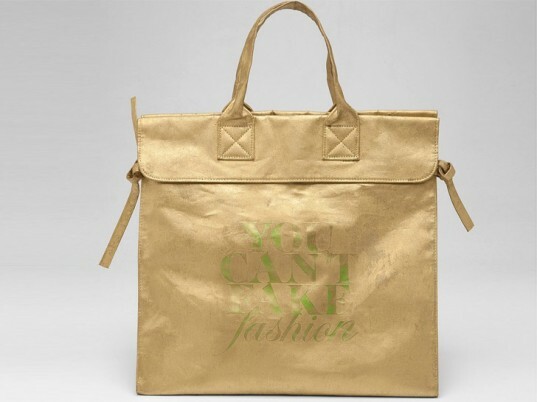 To reference her use of 18-karat recycled gold, jeweler Monique Péan hand-painted her tote in gold-leaf paint, allowing the words "You Can't Fake Fashion" to peek through in their original neon green. She also reworked an image of one of her fossilized walrus-ivory pieces into a silk-screened print, which she worked into the lining of the bag. Rogan Gregory and Scott MacKinlay Hahn of Loomstate painted their tote white, then stenciled it with "It's hard to tell as fake" on the front. Inside, they inserted removable silk protea, orchids, and poppies.